Thanks for the practical guide, which I bought from Amazon and read through. As I see, driving in Cuba is for the adventurous ones, and many prefer Vazul or drivers. Well, we will be driving around and will be very careful to stay accident-prone after reading your guide (wish us luck). Any tips about buying gas and parking, especially in Havana? We’ve got advise from Cubans to get a full tank of gas every time we see a gas station. Is it really so challenging? Also, what about parking in Havana? We plan to stay in Vedado district. Shall we walk to the Old Havana / take taxi, or it is feasible to drive and park ourselves? Driving should not be so bad if you have experience and remain focused. Don’t drink and drive and don’t pick up strange hitch hikers. Know your routes and be very careful of people who try to help you. Robberies have increased in the last few years and I would say it is best not to open your doors to strangers at all. As for gas, there are gas stations all over Havana. It’s pay before you pump. The price is about 1.1 CUC per liter, so about $4 USD per gallon equivalent. I would fill up when you can, if you are going for long distance trips. But in the city, gas stations are pretty common. And even in the countryside you will see a station at every town and every 25km or so along the highway. If you have a car in Havana then you are better of just driving around rather than taking taxis. Taxis are great and I personally think they are much more practical in the city, but if you already have a car it would be strange to take a taxi. Parking is easy, but you should always park it where there is a parking attendant. Parking attendants wear a red vest and their job is to watch over your car in a parking lot or on the side of a road. Everybody parks their cars with the attendants. It costs a tiny bit of money, but it is worth it. If you don’t park your car with the attendant, then it is a huge invitation for locals to try to cause trouble with your vehicle (either by breaking into it, or taking parts off the car). These guys will just hang around all roads, particularly near landmarks and restaurants and markets. In Old Havana, use an attendant all the time. In Vedado, the neighborhood is richer and more people park their cars on the road, usually in front of their houses. If you are home, then this is fine. If you are going away for several hours or days, then try to find a garage where you can park your car or a place which has a security guard in front, where you can leave your car. Your casa landlord should be able to help with this. Parking attendants charge a fixed state price for cars of 50 cents (Moneda Nacional) per hour. This is equivalent to 2 cents USD per hour. Since you are a foreigner, likely driving a nice car, you will be expected to pay a bit more. My advice is to treat the attendants well. If it was me, I would give the attendant 1 cuc at the beginning and 1 cuc when I return. This, in my opinion, would give the attendant extra incentive to watch my car. You can get away with paying far less, but I prefer to be generous and have the peace of mind. Wow, Mario – thanks for the prompt and detailed answer – it truly helps. No wonder your guide book is highly rated and appreciated by fellow readers. Will be happy to share our tips after the trip as well. I’ve been to more than 50 countries and usually make road trips everywhere, but was hesitant to rent a car in Cuba after reading so many recommendations against this. Until Vazul buses got full and we booked cars before they were gone as well, as we want to see of-the-beaten track places and be independent with our schedule. is it worth time and effort to drive to Baracoa from Santiago de Cuba on a way to Holguin/Guardalavaca – we are doing a 2-week drive-around-Cuba trip with two economy size rental cars (i.e. not SUV/4W or very powerful engines). I’ve been reading a lot of most recent blogs and watching vlogs/youtube from 2017. My concern is (a) that roads will be very bad/washed away during hurricane and the area is mountainous and (b) the time to get there is comparatively high – is it that much different from other parts in Cuba (nature/food/etc) to justify the effort? Cayo Jutias – is it accessible by a car? If not, which beach around Cuba is truly nice (a ka postcard paradise, but not in the tourist resort. We also plan to drive to Cayo Caco, partly for the beach, partly for the road itself). This Cayo Jutias beach was recommended by Cuban Travel reps during recent travel fair I’ve attended, but I’ve just read an article from a journalist, who went there by taxi 3 weeks ago and complained about extremely poor road conditions and 3 hours for a 50 km distance. Isla de la Juventud – again, is it worth the effort to take the pedestrian (?) ferry to/from the island. I am intrigued to see the prison ruins, but it seems to be at least a full day effort, so, again, I wonder to do it, or to skip/postpone to the next time in Cuba (if ever). Hi, in general I would suggest you focus on just a few main areas of Cuba rather than trying to see tiny bits of the whole island. I will explain more below. Baracoa is beautiful, but very far and hard to get to. Even for locals it is hard to get to. The main bridge to the town was wiped out in 2016 and as far as I know has not be rebuilt, but they made like a floating bridge which is still used. It is safe and as far as I know, anybody can use it. The casas in that area have mostly rebuilt and things are more or less back to normal. In my opinion, if you are in Cuba for only 2 weeks, it is not really worth the trip all the way to Baracoa. If you go, you would go for a night? It’s nothing. I stayed a week there and although it is a small town, I liked the seclusion and I went climbing on some mountains and exploring the forests and rivers. If you are only there for a short while, you would not really get to enjoy those things much. Cayo Jutias is accessible by car. There is like an inter-coastal road that connects it to the mainland. The road is frequently repaired. I don’t know the current state. Sometimes it is good, sometimes it is bad. It’s a great beach. Another beach which is in that general area is called Cayo Levisa. It is located on an island. You would be able to get there with a ferry. There is more info on a tour of that area here: http://taxivinalescuba.com/?lang=english&secc=tours&region=WESTERN#excursions . Fundamentally, there are hundreds of beaches around Cuba. Any beach which is located near a town will have people on it (if the weather is warm) and there is always some pollution on any beach (bottles and cans and cups). Even those postcard photos of Cuban beaches have the trash removed for the photo, but just outside of the lens view, there is rubble. Now, if you go to a secluded area, where there is no town nearby, then you can rather easily find a beach which is not polluted, but by that same token, the beach will sometimes be covered in dark seaweed of have a rocky shoreline. Most of these “off the beaten track ” beaches are also very small.. short and narrow. If the beach was big and beautiful, the government would have already planted a hotel on it and put a town nearby. I will mention, that I have always wanted to find a beach in Cuba where I could rest and not see another person for a whole day. There are two places where I was successful at this. Here is one and here is another. Around those areas, there are not many people and you can easily find solitude and a nice beach. Will it be the best beach ever? No, but it will be nice and you will be alone. To add to this, in my opinion, one of the most beautiful beaches in Cuba is called Cayo Blanco. It is on an island close to Varadero. You need to take a catamaran or yacht tour to get there. It’s not very expensive. Each day about 100 tourists take this tour, but the island is large and I was able to roam around and find a completely secluded area. It is here: https://goo.gl/maps/9TBHqtDNGK12 . While it is a beautiful beach, due to it being on an island the government restricts visitation only to a few hours during the day. I would have liked to spend many hours there, but the tours are rather short. In general, I would say my best advice is to simply enjoy all the beaches in Cuba and not to focus on looking for the best one. Isla de la Juventud – I doubt you would have the time. Again, I think it is not worth it. But it depends on your goal. If you goal is to see everything, then you can try to, but will likely be disappointed. 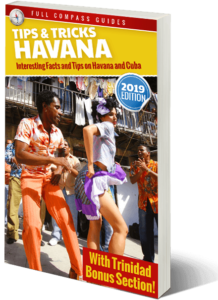 If your goal is to learn about Cuban culture, then I urge you to keep the trip as simple as possible and focus on 3 or 4 town, max. Cuba is a tourist hot spot and the central government controls the tourist areas. Hopping from one town to another you will soon find that each town looks more or less the same and offers the same attractions. And you will not be able to see much beyond the tourist attractions if you are only in a place for 1 or 2 days. 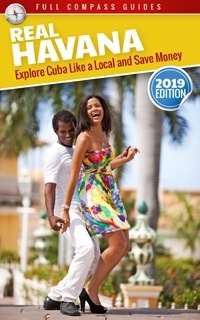 I would say, do Havana 3 days, then you can head east and hit Trinidad, Cienfuegos and maybe down to Holguin, and then head back with a few stops to the cayos along the north shore. You would miss Vinales, but Trinidad is very similar anyway and if you are looking to get away from tourists, then you would accomplish that by focusing on the eastern areas of the island. This reply was modified 1 year, 1 month ago by Mario. Does Viazul go from Havana to Cienfuegos? If not, what is the nearest stop to Cienfuegos, if traveling by Viazul???? Thanks. Every day the Viazul makes 2 trips to Cienfuegos. Leaving Havana at 7am and 10:45am. The trip takes about 4.5 to 5 hours. Cost 20cuc. The bus does 3 return trips back to Havana per day. Mario – Thanks for much for your response. I thought the Viazul offered service from Havana to Cienfuegos, as I made the trip last year but my final destination was Trinidad. I think what through me for a loop was I did not see a specific trip using the drop-down selection. OK, two more questions. I did see the Casa Particulares in Cienfuegos but noticed they were two beds. I only need one room, so do you have any recommendations for Cienfuegos and Santiago??? Hi, for the casas in Cienfuegos, the landlords can simply close off one of the rooms, so you will have complete privacy. In the casas, there is a bedroom with a big bed, and the other bedroom with 2 single beds. You can just take the big bed and the other room will be closed. If you want, fill out the form at the bottom of the casa page and it will send a note to my office in Havana and we will call in Cienfuegos to find you the best option which has vacancy for your dates. We have a few other casas which are not listed on the website, but the website casas are great. Don’t post your information in the forum, because it is not private. Just send a note using the form at the bottom of the casa page at the link above. For Santiago, we can find you a private place too. Just send the note above and mention that you want a place in Santiago and state the travel dates, and we will organize everything for you.